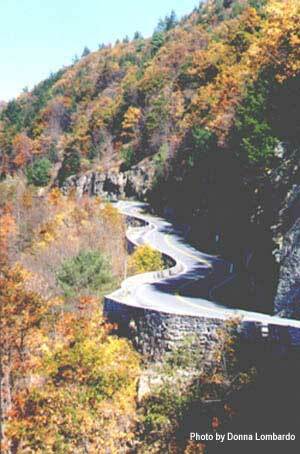 About four miles from Port Jervis, the Hawk's Nest section of New York State Route 97, which is part of the Scenic Upper Delaware Byway, has been frequently used in advertisements and commercials like this one for Porsche. In 2016 it had a brief but important role in the hit 3D movie, Dr. 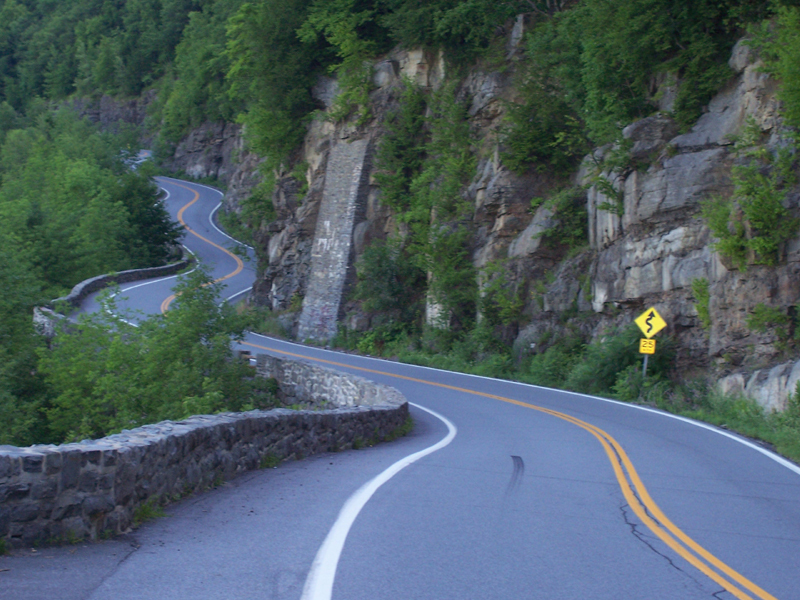 Strange, and is featured in this 2018 article that calls Route 97 "New York’s Windiest Road." At the foot of the Hawk's Nest stand sturdy, hand laid stonework walls that serve as reminders of the Delaware and Hudson Canal (c.1828-1899) which ran parallel to the river here. Opposite the Delaware River from the Hawk's Nest are Pike County, Pennsylvania and railroad tracks still used today that the famed Erie Railroad first laid in the late 1840s and early 1850s. It has been said by some that the Lenape (Delaware Indian) people who once lived here for thousands of years used the top of the Hawk's Nest as a light beacon for signaling to a chain of such points in the region's river valleys far beyond. 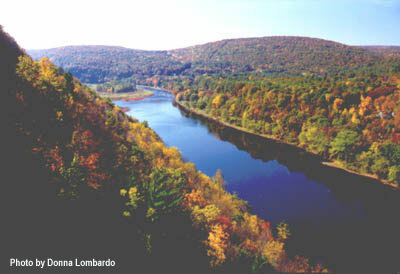 This upper Delaware River corridor is also part of Upper Delaware Scenic and Recreational River National Park whose rare "wild and scenic" designation is given to less than one-percent of all our rivers and which are chosen for their outstanding natural, recreational, and cultural value. Click this link to open a map showing Port Jervis area points of interest and their locations including this one. Read David's May 1990 American Driver article that begins by talking about the Hawk's Nest and which was republished as a tribute to him in the March 2011 issue of Automobile Magazine. Thank you to Frank "Jersey Dog" Altamura of Great Meadows, NJ, for sharing this excellent video. Use the YouTube options to select the viewing size. See more Hawk's Nest videos here. An approximately 30 minute drive from Port Jervis along Route 97 will lead to the oldest wire suspension bridge in the United States. Constructed in 1847-1848 as "The Delaware Aqueduct," it originally served to replace a rope ferry used to move canal boats across the Delaware River here as they continued toward their primary destination near the coalfields of northeast Pennsylvania before making a return trip to near Kingston, NY, where goods were further transported via the Hudson River. The structure was designed by John A. Roebling, future engineer of the famous Brooklyn Bridge in New York City and inventor of the wire stranded rope that makes such suspension bridges possible. A museum/home of noted author, Zane Grey is also found here just across the river in Lackawaxen, PA.